Dr. Myung Jong Lee is working in partnership with researchers at Rutgers, Columbia, and NYU, in the COSMOS (Cloud Enhanced Open Software Defined Mobile Wireless Testbed for City-Scale Deployment) consortium to perform wireless research using five testbed nodes deployed at CCNY and covering one square mile in West Harlem. Over the next five years, The National Science Foundation (NSF) will fund wireless networks for researchers to test new ways of boosting Internet speeds to support data-intensive applications in robotics, immersive virtual reality, and traffic safety. An educational component of the project will provide hands-on STEM training for K-12 Harlem students and City College will involve its engineering students in testbed installations. Civil Engineering Professors John Fillos and Krish Ramalingam were awarded a $10 million contract renewal with the NYC Environmental Protection Department’s Research and Development Projects to optimize Waste Water Treatment Plant (WWTP) operations. New York City’s 14 wastewater treatment plants together treat 1.3 billion gallons of wastewater daily. The city has been and continues to invest millions of dollars in the research and development of new, more cost-effective technologies, programs and processes that remove toxic pollutants in wastewater and maintain optimum operation of treatment plant systems. CCNY engineers have partnered with structural engineering firm DRPILLA and the New York City Department of Buildings in a wind research study led by the Grove School of Engineering and funded by a $563,000 grant from the New York City Mayor’s Office of Recovery and Resilience. The project studies the effects of hurricane strength winds on buildings under various climate change scenarios. Leading the project, entitled “New York City built environment and public safety under extreme wind effects in a changing climate,” are Grove School’s Drs. Yiannis Andreopoulos, Jorge Gonzalez, Fred Moshary and Mark F. Arend. Research objectives involve risk assessments, building compliance, and disaster readiness. Biomedical Engineering Professor Marom Bikson partnered with Dr. Grace Ambrose- Zaken, Hunter College Associate Professor and inventor of the Toddler Cane and digital app system, to develop a wearable cane that allows blind and severely vision-impaired toddlers to walk safely long before they develop the cognitive skills and manual dexterity needed to use a traditional handheld cane. When Dr. Bikson learned about Dr. Ambrose’s work, he volunteered to help her perfect the design, produce prototypes and ramp up manufacturing. Engineered by Dr. Bikson, the wearable “toddler cane” fastens around the waist, positioning two attached white shafts joined with a U-shaped bumper on the ground two steps ahead, providing the child with continuous next-step warning, helping toddlers avoid falling and walking into obstacles. Ongoing research by the professors indicates that better connecting vision-impaired toddlers with their world through the wearable toddler cane may reduce or avoid delays in speech and motor function, and improve the ability to play and socialize. Word about the Toddler Cane has spread quickly across the United States and internationally. The CUNY professors now seek additional government and foundation funding for Phase 2 development, including reducing the cost of manufacturing, and further clinical trials. Support their mission. Dr. Hao Su, Assistant Professor of Mechanical Engineering and Director of the Biomechatronics and Intelligent Robotics (BIRO) Lab, and his team were one of ten Mobility Unlimited Challenge Discovery Award winners selected to proceed to the finals of the Toyota Mobility Unlimited Challenge to support radical improvements in the mobility and independence of people with lower-limb paralysis through smarter assistive technology. Dr. Su’s robotics research titled “Physiology-Adaptive and Computer Vision-Assisted Soft Exoskeletons to Support Independent Living across the Continuum of Rehabilitation” was selected from among nearly 100 applications from 25 different countries. Dr. Su’s BIRO lab is partnering with Dr. Gerard Francisco of the National Academy of Medicine and the University of Texas Health Science Center and his team to use the $50K seed funding to develop the application to become one of five finalists to receive a $500K Finalist Development Grant in January of 2019. Ultimately, one winning team will receive a $1M Prize in September 2020. The City College of New York Master’s in Translational Medicine (MTM) program trains students to integrate the science, technology, and business expertise required to bring to market practical medical technologies that improve human health. Biodesign projects in the areas of medical devices, wearable technology, and health related smart phone app development, are a central component of the MTM experience in which multi-disciplinary student teams work with an external project sponsor to build and evaluate the functional prototype of a medical technology that addresses an unmet clinical need. 2017-2018 MTM Biodesign projects include: a knee device to monitor how knee osteoarthritis patients walk and help them prevent excessive force on the knee joint to reduce their pain and symptoms, sponsored by Motion2Movement; a pendant and digital app system menopausal women can use to detect and track their symptoms, sponsored by Nestlé Skin Health SHIELD; and a personalized gaming app that integrates quantitative measurements of skin hydration, ambient humidity/temperature, and therapeutic education to help pediatric atopic dermatitis patients follow their treatment plans, which is crucial for symptom management and reduction of the severity of the condition, and yet not always adhered to, also sponsored by Nestlé Skin Health SHIELD. Each project team will address the business, clinical, intellectual property, and regulatory considerations associated with the eventual commercialization of the technology. With the rapid development of wind energy technology comes a new challenge: how to dispose of the nonbiodegradable blades in current wind turbines in a sustainable way. GSOE’s Adjunct Professor Dr. Lawrence C. Bank has assembled a team of international partners to explore the sustainable reuse of non-biodegradable wind turbine blades. Under the project dubbed “RE-WIND,” an interdisciplinary research team comprised of experts from City College, Georgia Institute of Technology, University College Cork in the Republic of Ireland, and Queen’s University Belfast in Northern Ireland is seeking an alternative to unsustainable disposal methods like landfilling and incineration and exploring the potential reuse of the blades in architectural and engineering structures. 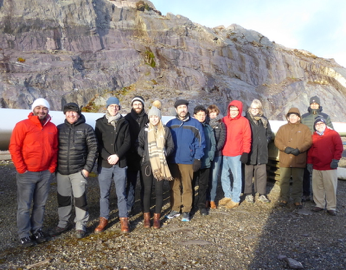 The project is being conducted under the auspices of the National Science Foundation’s US-Ireland Tripartite Research Program, includes funds from the NSF, Science Foundation of Ireland, the Department of Economy of Northern Ireland, and has total funding of over $1 million. The researchers chose Ireland as a testing ground because of its wide variety of geographical regions in a relatively compact space. According to project co-leader Dr. Bank, research across engineering, architecture, geography, sociology, and political science will provide valuable information about wind energy to community stakeholders. In addition to Dr. Bank, other CCNY Grove School participants include Dr. Ardavan Yazdanbakhsh, Assistant Professor of Civil Engineering, and Franco Arias, a graduate Civil Engineering student. Assistant Professor of Chemical Engineering, Dr. Xi Chen, is the recipient of a $558,000 grant from the U.S. Office of Naval Research to explore and develop bio-inspired water-responsive materials for energy conversion and actuators. The grant will support Dr. Chen’s long-term goal of investigating and developing evaporation energy harvesting techniques pioneered by his team at CCNY and The Graduate Center’s Advanced Science Research Center (ASRC), and to develop the next generation actuators. 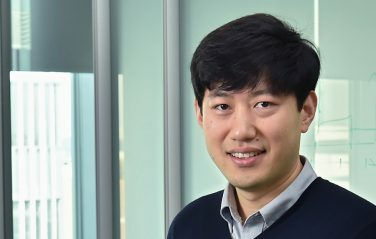 Chen’s research will focus on gaining a fundamental understanding of the nanoscale water-responsive mechanisms that will lay the foundation for developing new hybrid and synthetic water-responsive materials for broad applications, which could lead to the development of more powerful actuator materials. The proposed research could eventually lead to evaporation-driven generators deployable as floating harvesters on any body of water to power maritime sensing, mobile ocean surveillance systems, research facilities, Navy surface ships, and even Navy bases. This research will also provide insight into the important role of nanoscale water in biological processes, contributing to the development of bioinspired and biomimetic devices and materials. In 2018, Dr. Chen also received The Feliks Gross Award from the CUNY Academy for the Humanities and Sciences and 2017/2018 Graduate Research Technology Initiative (GRTI) equipment funding from CCNY for his research. CUNY held the 2018 Research Conference on Diversity & Inclusion (D&I) on March 29th, at the CUNY Graduate Center, hosting nearly 200 attendees and 49 expert speakers and panelists. The Conference, organized by five CUNY Colleges, and supported by the CUNY Office of Research, was initiated by the Grove School of Engineering’s Dean, Dr. Gilda Barabino, and Paulo Gaudino, Executive Director of the Quantitative Studies of Diversity and Inclusion (QSDI) initiative at The City College of New York. The conference brought together D&I researchers from across CUNY, as well as program officers and sponsors from foundations, government agencies, leading corporations, investment firms and media experts. It also kicked off a collaborative research program open to all CUNY researchers, which includes opportunities for support from internal and external sources. The initiative, run by QSDI, seeks to combine quantitative and qualitative methods to design D&I related research projects that are measurable, scalable, and sustainable. The initiative will also help secure funding for these research projects. The conference included lightning pitches; a government panel on sponsored research; a foundations panel on D&I funding support; a corporate panel on university-industry collaborations; an investors panel on D&I and raising capital; a media panel on disseminating ideas; and a series of opportunities to network, learn more about entrepreneurship and the vast impact of D&I. The success of the 2018 Research Conference on Diversity & Inclusion confirmed wide-spread interest in D&I research and highlighted many opportunities for sponsored research and collaborations within and outside CUNY. 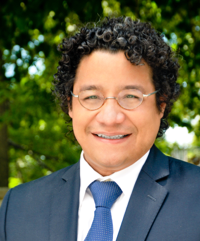 NOAA CREST Professor of Mechanical Engineering, Dr. Jorge E. Gonzalez, leads the “Urbano-Increasing Access and Success in Urban STEM” initiative supported by a $100K NSF Grant designed to enhance undergraduate education in STEM at Hispanic-Serving Institutions (HSI). CCNY had the only successful proposal from the Northeast among seven winners nationally and is a recipient of the first NSF grant designed to enhance undergraduate education in science, technology, engineering and mathematics at HSIs. With a Latino student population comprising nearly a third of its 16,000 student enrollment, The City College of New York’s designation as a Hispanic Serving Institution has received more than $5 million in NSF funding for HSI programs at CCNY since 2017. With NSF funding, Professor Gonzalez launched the HSI: Urbano Hispanic Student Achievement Conference held at the CCNY Advanced Science Research Center on May 23-25, 2018. An overwhelming success, the conference hosted attendees from across all CUNY campuses, partner institutions in Puerto Rico and Texas, and featured high-ranking government officials. 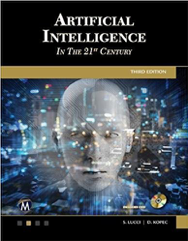 Print and digital content publisher in the fields of science and medicine, technology and computing, engineering, and mathematics, Mercury Learning & Information, has announced the December 2018 publication of Dr. Stephen Lucci’s AI book, Artificial Intelligence in the 21st Century. 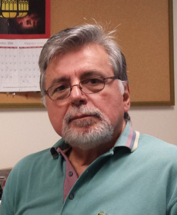 This will be the third edition of the book he coauthored with the late Dr. Danny Kopec, former international chess master and computer science professor at Brooklyn College. The book has been adopted by numerous courses in artificial intelligence. The third edition includes new chapters on deep learning and robotics with new sections on speech understanding and metaphor in natural-language processing (NLP). Associate Professor of Electrical Engineering Alexander Khanikaev’s work in metamaterials—specifically in 3D optical circuitry—has been recognized by the Optical Society of America as one of the 30 most important breakthroughs in the field. His research has been featured on the cover of the December 2017 issue of Optics and Photonics News. His photonics paper “Two-dimensional topological photonics,” coauthored with Dr. Gennady Shvets of Cornell University, was published in the December 2017 edition of Nature Photonics, the highest impact journal in the field of photonics. Another of Dr. Khanikaev’s co-authored papers, “Far-field probing of leaky topological states in all-dielectric metasurfaces,” was published in the March 2018 edition of Nature Communications. And most recently, “Spin- and valley-polarized one-way Klein tunneling in photonic topological insulators” was published in Science Advances, May 2018. Dr. Khanikaev’s breakthroughs in topological photonics research have the potential to make camera phone lenses thinner and flatter, satellites smaller, laptops stay cooler, and batteries last longer. At the 2018 School of Engineering Alumni Association Awards Dinner and Annual Meeting held on May 10th, Dr. George L. Nemhauser received the association’s Career Achievement Award in recognition of his many years of teaching and research. After graduating from The City College of New York in 1958 with a bachelor’s degree in Chemical Engineering, George Nemhauser went on to earn M.S. and Ph.D. degrees from Northwestern University. Thereafter, he joined the faculty of Johns Hopkins University where he served until 1970. 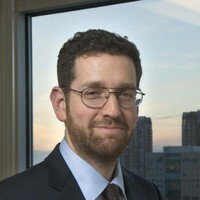 Following that, he was appointed Professor of Operations Research and Industrial Engineering at Cornell University. In 1985, he joined Georgia Tech as a Russell Chandler Professor. 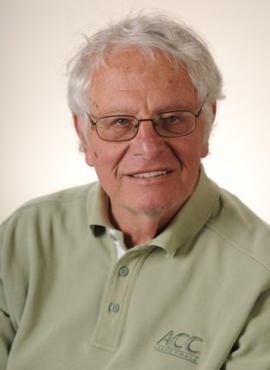 In 1986, Dr. Nemhauser was elected to the National Academy of Engineering (NAE), and was appointed Institute Professor at Georgia Tech in 1991. Dr. Nemhauser’s principal research interests are in the area of Discrete Optimization. He has held visiting faculty positions in the United Kingdom, Belgium, and Australia, authored three textbooks, supervised more than 60 doctoral dissertations, and is a member of the National Academy of Engineering. The Grove School Alumni Group organized a panel entitled “Valuing Adaptability in Your Career,” held on March 12th, 2018. Current students heard from a panel of experienced alumni, all leaders in their fields. It provided a valuable opportunity to gain a perspective on careers in STEM and ask questions about life after CCNY. The esteemed panelists included: Jacob (Jack) Feinstein, ’65 EE alumnus with over forty years of experience in the Electric Power Industry; Jerry Saltzman, ’78 ChE alumnus with professional experience spanning manufacturing, supply chain, and project management; Leonard Shuchman, PE, ’60 EE alumnus and our 2017 CCNY Engineering School Alumni (ESA) Career Achievement Award Winner; Jessica Black, PE, ’05 CE alumna and Project Manager; and Bernard Adler, PE, ’62 EE alumnus, a consulting business owner. Moving forward to the 2018-2019 academic year, the focus of the RIS talks will be on emerging research areas and priorities, including Cyber Security, Energy and Environment, Life Sciences, Robotics, and Transportation. For the sixth successive year, The City College of New York has had the authority to fully confer Ph.D. degrees in Engineering. During the 2017-2018 academic year, 34 bright, young researchers were awarded doctoral degrees by CCNY. 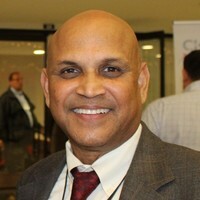 In addition, five candidates from the Computer Science Department were awarded doctoral degrees from the CUNY Graduate Center. These men and women are now embarking on national and international high technology careers and postdoctoral studies. Postdoctoral destinations include the University of Pennsylvania, Stanford University, Columbia University, and Albert Einstein College of Medicine. Career destinations include Scripps Institution of Oceanography, United Technologies, and NASA. Special congratulations go to Dr. Robert Paaswell, Director Emeritus of the University Transportation Research Center and former Interim President of City College and his grandson Ariel Miara who graduated with a doctorate in Civil Engineering. View the complete list of 2017-2018 Ph.D. graduates, their dissertation topics, and future plans.